Derek Parfit died on January 1, 2017. He was 74. Links to obituaries and remembrances here. See Larissa MacFarquhar's portrait of Derek Parfit in "The New Yorker" September 2011: "How to be Good". The third volume of Derek Parfit's work "On What Matters" will come out on Oxford University Press in February. "Derek’s On What Matters, Volume Three is in press and will be published by OUP in February. A large part of it consists of responses to the essays in the companion volume I have edited, Does Anything Really Matter: Essays on Parfit on Objectivity, which will be published at the same time. Derek shared the final version of On What Matters Volume Three with me, and it seems fitting now to share the final paragraphs, which give a brief statement of what Derek considered matters most, as well as an indication of what we have lost by his inability to complete his larger project. “I regret that, in a book called On What Matters, I have said so little about what matters. I hope to say more in what would be my Volume Four. I shall end this volume with slight revisions of some of my earlier claims. One thing that greatly matters is the failure of we rich people to prevent, as we so easily could, much of the suffering and many of the early deaths of the poorest people in the world. The money that we spend on an evening’s entertainment might instead save some poor person from death, blindness, or chronic and severe pain. If we believe that, in our treatment of these poorest people, we are not acting wrongly, we are like those who believed that they were justified in having slaves. Some of us ask how much of our wealth we rich people ought to give to these poorest people. But that question wrongly assumes that our wealth is ours to give. This wealth is legally ours. But these poorest people have much stronger moral claims to some of this wealth. We ought to transfer to these people, in ways that I mention in a note, at least ten per cent of what we earn. What now matters most is how we respond to various risks to the survival of humanity. We are creating some of these risks, and discovering how we could respond to these and other risks. If we reduce these risks, and humanity survives the next few centuries, our descendants or successors could end these risks by spreading through this galaxy. Life can be wonderful as well as terrible, and we shall increasingly have the power to make life good. Since human history may be only just beginning, we can expect that future humans, or supra-humans, may achieve some great goods that we cannot now even imagine. In Nietzsche’s words, there has never been such a new dawn and clear horizon, and such an open sea. If we are the only rational beings in the Universe, as some recent evidence suggests, it matters even more whether we shall have descendants or successors during the billions of years in which that would be possible. 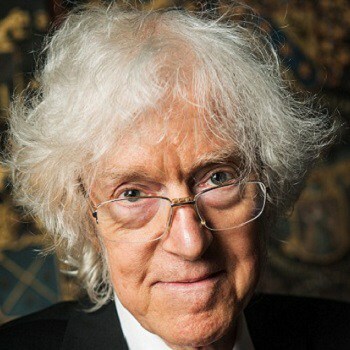 Some of our successors might live lives and create worlds that, though failing to justify past suffering, would give us all, including some of those who have suffered, reasons to be glad that the Universe exists.”"
Talk by Derek Parfit on ”Giving What We Can”, The Oxford Union, 2015.